Take a look at this: http://www.youtube.com/watch?v=J5suQjx4em8 and http://www.youtube.com/watch?v=FvKaeeFH03I. This woman is exposing nothing but the truth. The Palestinians are suffering immensely while most media shows that only the Israelis are suffering. Let me ask you: how are the Israelis suffering if they’re the ones with advanced weapons, with money and wealth? How are they suffering if they are the only country with nuclear weapons in the Middle East? There is oh so much proof but people refuse to believe the Palestinians are suffering! Forget about politics! Forget about everything except the fact that there are people who are losing their loved ones, their friends and family. Their homes are being destroyed. They don’t live normal lives like you and me, everyday they have to suffer! How can you refuse to believe that the Palestinians are suffering?! The children burying their own parents; they have no food, no love. Imagine that was your own children. Put yourself in their shoes. Would you not want help from those who can help you? Would you not want someone to come save the day and tell you it’ll be alright? This is just sad. Simply sad. 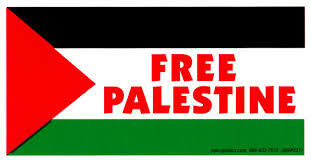 We must fight for our Palestinians. Go protest. Pray for them. Do something about it. Don’t let them suffer any longer. 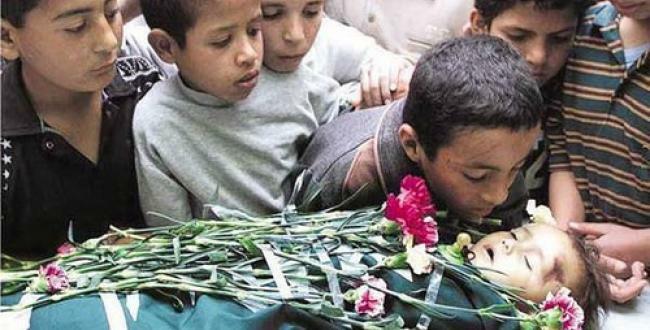 Don’t let another Palestinian child cry themselves to sleep again. Don’t let another Palestinian lose another family. This is not about religion. This is not about politics. This is not about money. This is about humanity. This is about the twisted way the Palestinians are being treated. People refuse to believe it, but that doesn’t mean this isn’t happening. But this is the undeniable, disgusting truth. Search it up. I promise you that this is the truth. Children with no food. Orphans crying for their parents to come back one more time, to smile at them one more time and tell them that God is watching. Does this not break your heart? Because if it doesn’t, YOU’RE SICK. There are many innocent children and women dying in the Palestinian side. If you’re against Muslims, forget that they’re Muslims and remember that they are just human and we all bleed red. I’d also like to add that you can not blame all Jews for this. That would be considered another crime. Yes, some of the zionists in Israel can be blamed but don’t blame the rest. My father went to a protest just today and he showed me that there were Jews protesting for the freedom of the Palestinians. That’s admirable, to go against your own people and fight for the injustice that’s happening. Also, how about that news lady? She’s admirable! How many others could expose the truth like that? On live television? I bet she’s being hated by many right now but I’d like to say me and other sane human beings are right by her side! You go girl! That’s courage. That’s fighting for injustice. Help end the Palestinians’ suffering. This has been going on for too long. We all bleed red. We are all humans. We all have loved ones that we want alive and well. We all want food to survive. We all need shelters. So help these Palestinians. Pray for them. This especially goes out to the Muslims because it’s Ramadan right now and no prayer goes unanswered. Pray for your brothers and sisters who are suffering. 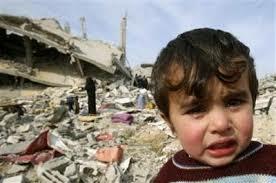 May Allah (swt) help end their suffering. May Allah (swt) grant Jannah who died or risked their lives for their freedom. May Allah (swt) end the torment that is going on there. Ameen. I ve collected Ahadith regarding Masjid al Aqsa and Jerusalem ..plz read n share …so ppl may know the Significance of the Holy Land.